The Kingdom Hearts series has a gigantic cast of characters comprised of the original characters, Final Fantasy characters, and Disney characters all working to move the story forward and create these great, memorable games. Now with the Dark Seeker saga coming to a close with Kingdom Hearts III, I wanted to reflect on the characters I liked the most from this saga. While I’m excited for the prospect of additional, new characters in future installments, I’m always going to have a special place in my heart for my main favorites. Our fun-loving, happy-go-lucky hero hasn’t experienced a ton of character development over the course of the series, but Sora’s ability to see the light and goodness and everything makes him an endearing and worthy protagonist. Even in his worst moments when he doubts the role he’s meant to play or his strengths, he manages to pick himself back up again, and it’s pretty admirable. there isn’t a whole lot else to say about Sora. He always wants to help people, and it’s his strongest quality, but he also has his serious moments and isn’t afraid to let loose and have fun either. Sora is a fun character, and while I’m hoping Kingdom Hearts III doesn’t mess him up too badly, I’m looking forward to see his optimism challenged later on down the road. Namine is Kairi’s Nobody and a “witch” that can manipulate the memories of Sora and his friends. She is first introduced as a pawn of the Organization, altering Sora’s memories of Kairi and influencing him so that his actions will support the Organization’s own goals. Their plans fail, and Namine is overcome with guilt for emotionally hurting Sora, compelling her to undo her mistakes and restore his memories. Her dynamic with DiZ and Riku helps cement her role as a kind girl who is deeply troubled by the her actions as a result of the Organization which leads her to take any action necessary to help them. Namine may not have a lot of opportunities for deep character development, but I remember being endeared by her quiet, almost sad personality in Chain of Memories and wanting to learn more about her. I’m hoping that she can finally be remembered by Sora in Kingdom Hearts III and that he will be able to properly thank her for everything she’s done to help them. 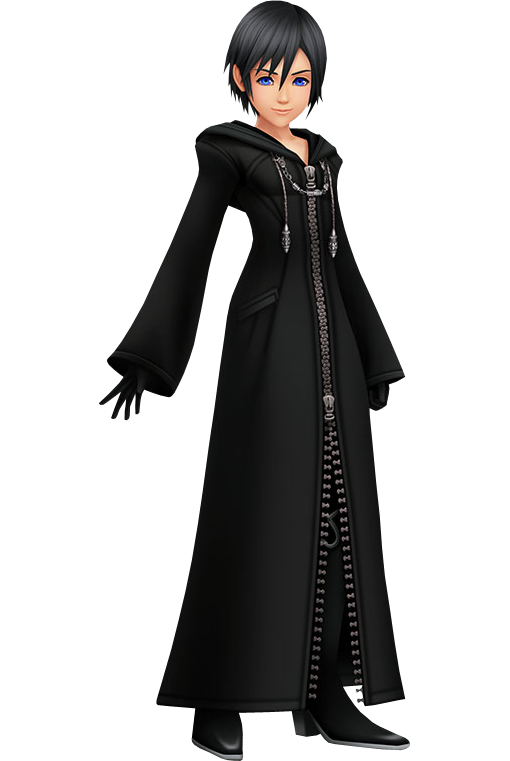 When 358/2 Days was first being announced and information was being released, I remember obsessively scouring the Internet for more news about the mysterious Organization XIII member, Xion. I also remember being aware of the fact that she doesn’t exist in Kingdom Hearts II, and while I tried to tell myself that I probably shouldn’t become attached to her story, I totally did. 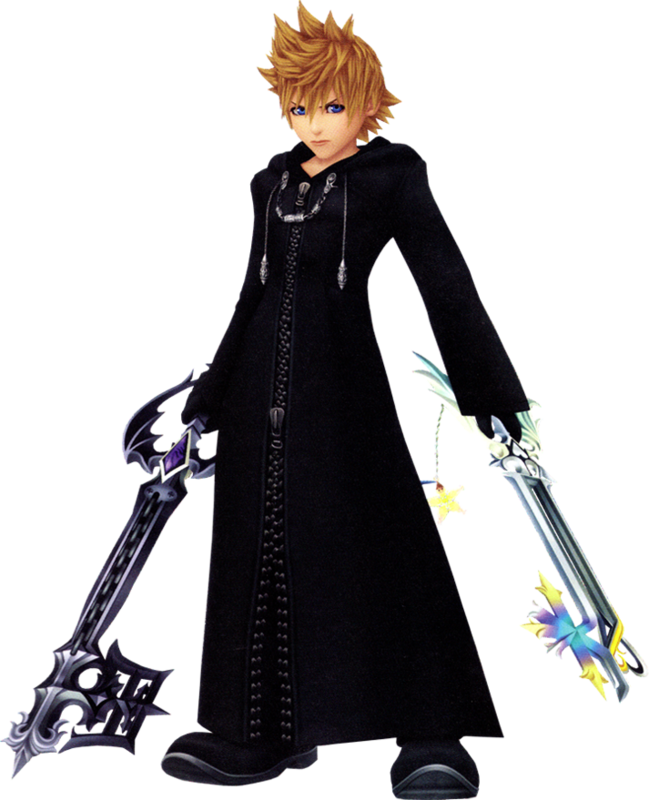 Xion is a replica based off of Sora’s memories and was created by the Organization to ultimately become Sora and absorb Roxas. The discovery of her identity and the existentialism crisis that followed was incredibly sad to experience but helped create the memorable final half of 358/2 Days. Xion is similar to Kairi in that she’s kind and fiercely loyal to her friends, but she also isn’t afraid to do what she has to do either, such as fighting back against Axel and the Organization. She comes to terms with her fate and does everything she can to sabotage the Organization’s plans while giving Roxas the incentive he needs to escape and fix the mistakes that were made in her stead. I definitely cried at her death scene and have no shame whatsoever. If you’ve read my previous ramblings about Roxas, you know the story of how I once hated him and now love him. If you haven’t, go read it. It’s an important story for why he ranks in this spot, and his character development is a big part of what made me appreciate his story even more. Roxas, more than anything, wants to live a peaceful life with his friends. More than once, his dreams are snatched away from him, and it’s devastating. Fortunately though, Roxas isn’t a gloomy character defined by his circumstances or his doubts about whether or not he has a heart and how that effects his existence. Roxas is pretty relaxed around Xion and Axel, cracking jokes and being supportive, but with the rest of the Organization members, he can have a bit of a snarky attitude and short temper. This angry streak amusingly rubs off on Sora later on in Kingdom Hearts II but also cements Roxas as his own person who simply wants to live his life on his own terms. His personality really shines in 358/2 Days where we get to witness his transition from an empty vessel to a full-fledged individual with strong thoughts and feelings. 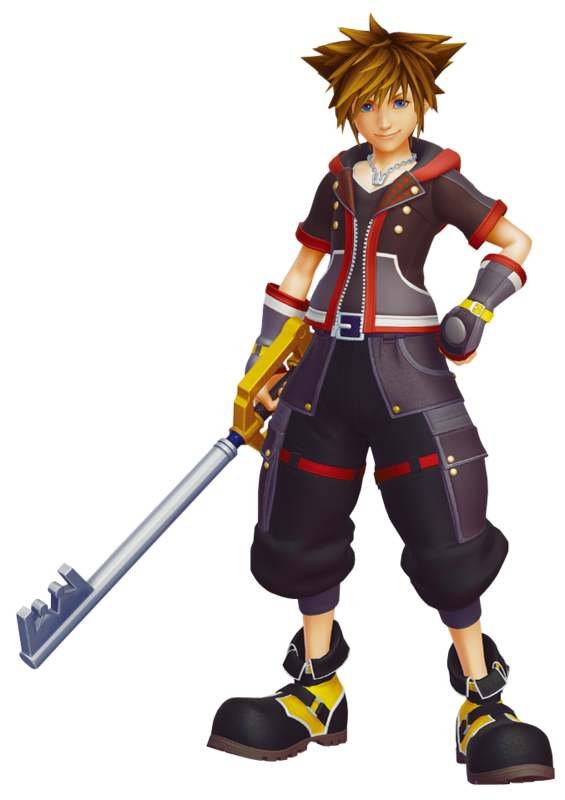 I really hope Sora finds a way for him to become his own person in Kingdom Hearts III. He’s a great character that deserves a genuinely happy ending. 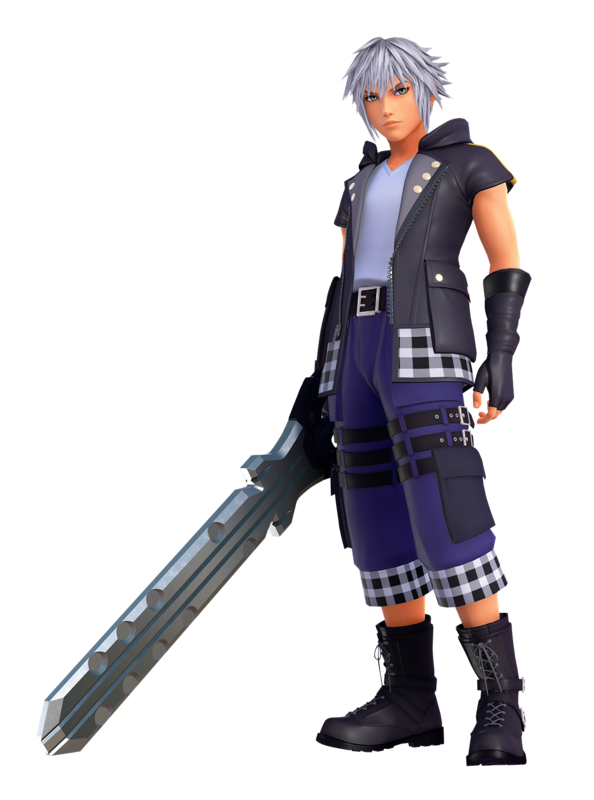 While Riku easily takes the number one spot as my favorite character in the Kingdom Hearts series (this will be no surprise for literally anyone who knows me), he’s also among one of my favorite video game characters of all time. I started the Kingdom Hearts series with Chain of Memories on the Gameboy Advance, and this was at a time when I really wasn’t playing a lot of video games, let alone ones telling a complex narrative across multiple games. I was immediately fascinated by his story and the emotional journey he went through in Chain of Memories. He had the perfect balance of snarky comebacks but also deals with deep, conflicting emotions as a result of his past. He’s thoughtful, and while he sometimes broods too much, it paints him as a vulnerable person overcome by guilt and the desire to “protect what matters,” which propels him to better himself no matter what. With each game, Riku progressively becomes more mature and likable, which makes him extremely relatable because we can see him learn from his mistakes and change because of them. He grows to appreciate the strength and support of others while discovering his own strengths and learning that he can trust in himself, too. He has so many great character moments and his entire journey would probably require a dissertation to be written in order to explore his progression and why it’s so important. Needless to say, a lot of time has been spent carefully developing his character, which has been really great to experience across so many games now. We’ve already said so much about him here on our list of best male characters, so I’ll simply leave it that, but all of these strong components of Riku’s character make me so excited to delve more into his story in Kingdom Hearts III. The only part of Birth by Sleep that I can tolerate, Aqua the best character of the trio so the fact that her story ends on a bleak note is almost disappointing. 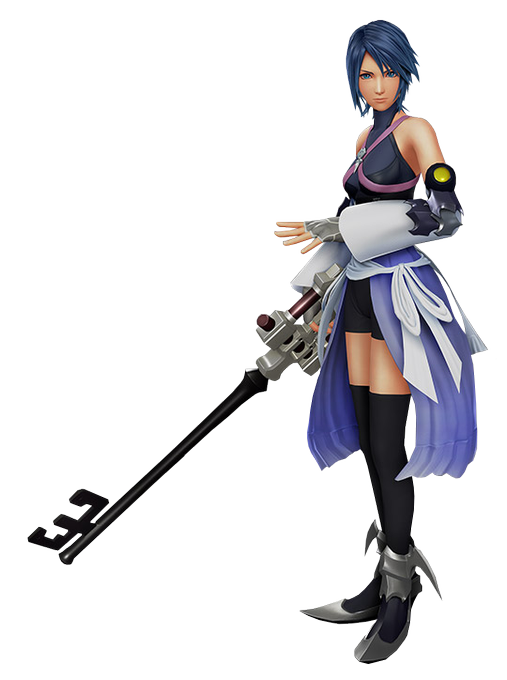 She becomes a Keyblade Master, but she doesn’t have the power to save Ven or Terra from terrible fates, and she becomes resigned to accepting her failures while trapped in the World of Darkness. Her prologue story in Kingdom Hearts 0.2 emphasizes her guilt and powerlessness while also giving her the resolve to fight back and change her future for the better, and it set up a possible character arc for Kingdom Hearts III to resolve quite nicely. Overall, Aqua has a lot of potential and I’m hoping that there will be more of her.